Hi everyone, I've got someone to introduce to you! Very soon, this delightful chap will be jumping into the game to accompany you on your journeys. Our little shadow gorilla does lack one thing though - a name! In a similar vein to the Shadow drake competition, we're looking for your help to name the upcoming Shadow Gorilla. The selected name will be added to the name list for all pets and the winner will win their own gorilla pet, as well as RuneCoins for two growth spurts. 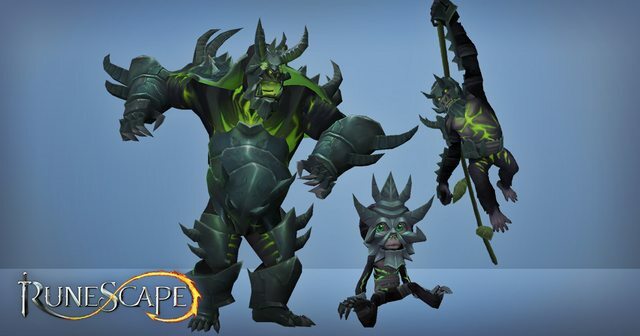 In addition, 50 random entries will receive the Shadow Gorilla pet too. To enter the competition, all you need to do is find the very best name for the shadow Gorilla and let us know. Post here, tweet together with the hashtag #NameMyGorilla, or head to instagram and comment together with your selected name. The competition will end on Thursday 19th January, with a winner announced on Monday the 23rd's newspost. Make sure the name you suggest is simple, fits the Shadow Gorilla, but also work well for other pets you can name in the customization interface. Please note – despite this appearing a perfect opportunity for Gorilla memes, we will not be accepting Harambe references for the #NameMyGorilla competition. Ookidan Stormrage has come to defect the legion!! the cute ape from planet of the apes!